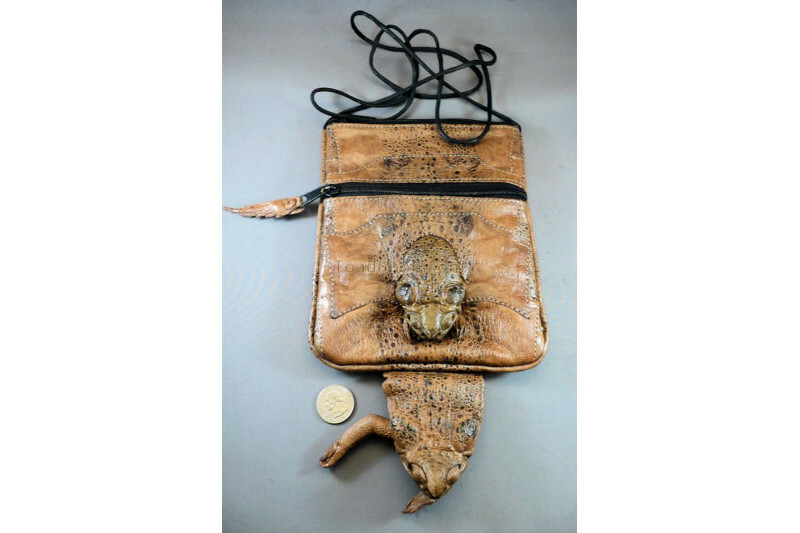 Two toad headed, two legged shoulder purse made of beautiful Australian Cane Toad leather. Looks like these two toads are about to play a game of leapfrog. 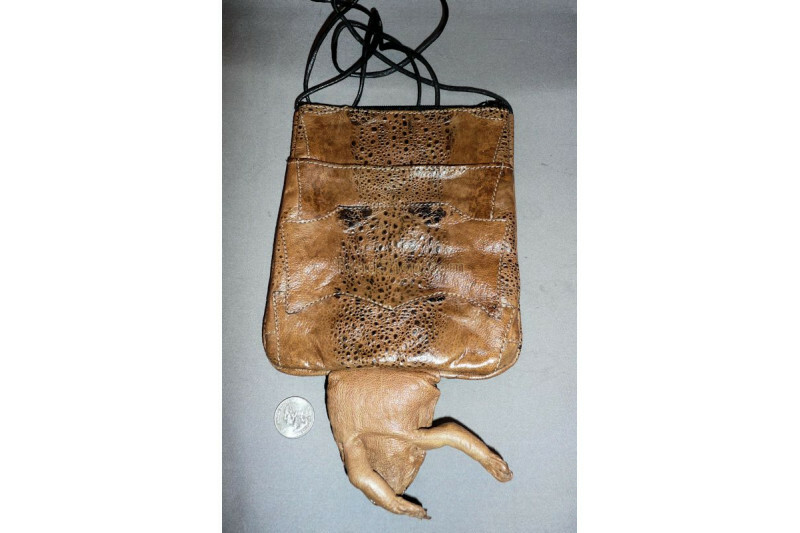 For the person who is definitely unique or really into toads, this is a nice leather purse to drop some keys, a license, and a few extras in for a night out.